The NCDSMO is presenting a two-day forum and one-day service element workshop that will focus on delivering information to attendees who work with cross domain technologies, services and solutions. The theme for this forum is “Raising the Bar”, and presentations will discuss cross domain solutions, services and technologies, and what new challenges are arising in today’s rapidly changing environment. Attendees will collaborate, build partnerships and advance their knowledge of cross domain technology. Clearance Requirements: No clearance is required. Audience: U.S. Government (USG), Department of Defense (DoD), Intelligence Community (IC) & Five-Eyes (FVEY) Partners (Australia, Canada, Great Britain and New Zealand) that work with Cross Domain Technology. Industry, Research and Academia that work with cross domain technology. Anyone from the US Government or Five Eyes Partner Governments (Australia, Canada, Great Britain and New Zealand) that works with cross domain technologies, or needs to know more about cross domain technology to accomplish their missions. Interested Industry, Research and Academia people may also attend. 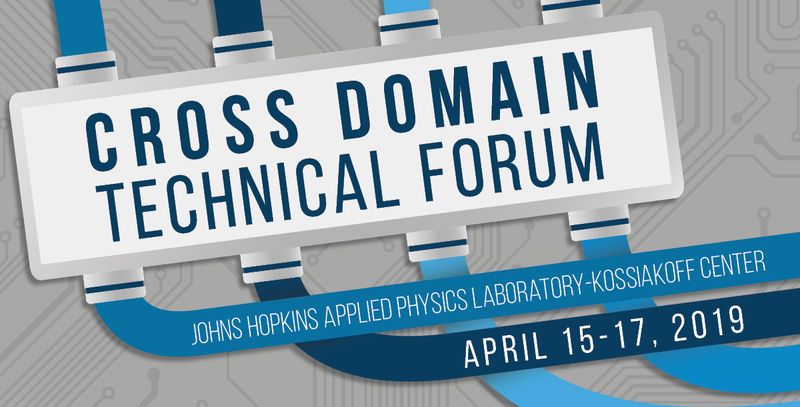 There is no cost to attend the Cross Domain Technical Forum for US Government, US Military, and FVEY Partners (Canada, Great Britain, Australia and New Zealand). The attendee cost for contractors and industry partners is $225. For questions, contact the NCDSMO at NCDSMO@nsa.gov.